Welcome to mirisgala.net. This website is devoted to the three languages of Sri Lanka: Sinhala, Tamil, and Sri Lankan English. 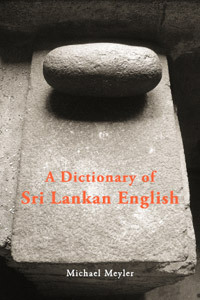 Its launch was timed to coincide with the publication of A Dictionary of Sri Lankan English in November 2007. Published March 2013. For information and sample pages, click on the cover image. For more on Sri Lankan English, click here. 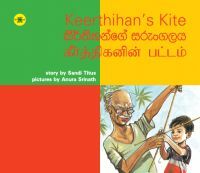 For the trilingual children's book Keerthihan's Kite, click here. 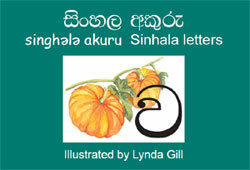 For the Sinhala alphabet cards, click here. 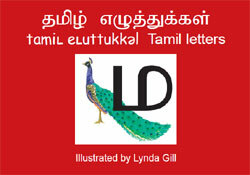 For the Tamil alphabet cards, click here. Updates and corrections: updates to the Dictionary of Sri Lankan English, corrections and new entries. This page is regularly updated. Please contact me if you have any suggestions or feedback which can be included. An A-Z of Sri Lankan English: a collection of short articles which appeared in the travelsrilanka magazine and the SLELTA Quarterly. A new A-Z of Sri Lankan English is featured on the Groundviews website, together with other articles on the subject of Sri Lankan English. Dictionary of photographs: a collection of photographs, ordered alphabetically, showing many items which appear in the dictionary and which are characteristic of Sri Lankan life and culture. Please contact me if you have any comments on the website or on the dictionary – especially if you have any corrections or additions which I can add to the updates page – or if you would like any further information on learning Sinhala or Tamil.